Thomas Wedell-Wedellsborg is the co-author of Innovation as Usual, a Harvard Business Review Press book on the art of driving innovation in regular organizations. Thomas has worked with managers in nearly all parts of the globe, including China, India, Russia, Singapore, Britain, France and his native country, Denmark. His research has been featured in Harvard Business Review, The Sunday Times, The Telegraph, BBC Radio, Bloomberg Businessweek and the Financial Times. As a keynote speaker, he has addressed organizations such as Time Warner Group, Cisco, T-Mobile, Johnson & Johnson, UBS, Deloitte, and The United Nations. Thomas holds an MA in Media Science from the University of Copenhagen and an MBA from IESE Business School. He has founded two startups and currently serves as an adviser to the venture development firm Prehype. In 2014, Britain’s HR Magazine included him on their list of “Top 20 International Thinkers”. Prior to his business career, Thomas served for four years as an officer and infantry platoon commander with the Danish Royal Guards. He is currently working on a new project aimed at upgrading the world’s ability to solve problems. “Are you Solving the Right Problems?“, article in Harvard Business Review, Jan/Feb 2017 issue. “The Secret to Better Problem Solving“, HBR Ideacast with Sarah Green Carmichael, December 2016. “Video: Are You Solving the Right Problems?“, HBR Facebook Live video, December 2016. “How to Bring Innovation to Life“, interview with David Burkus, October 2016. “Is the Customer Always Right?“, article in Business of Fashion by Kate Abnett, September 2016. “What’s in a wine store?“, article in Dialogue, June 2016. (Print version here). 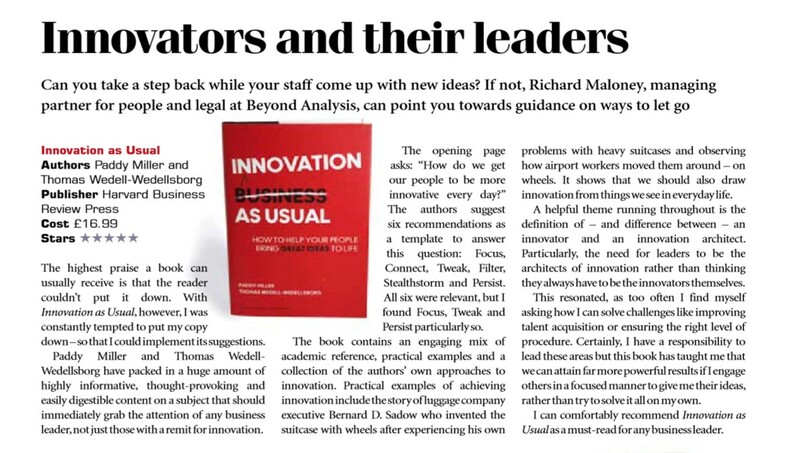 “Thomas Wedell-Wedellsborg: Innovation as Usual” Interview in St. Gallen Business Review, March 2016. “Startup as a Service: The Prehype Model“, case study, IESE Business Publishing, February 2016. 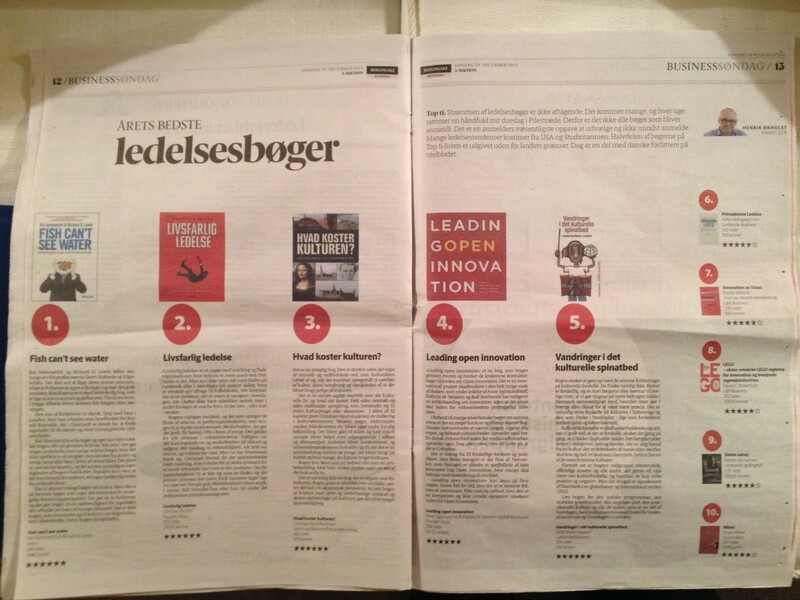 “To find ideas, seek new worlds” (in Danish), article in Kommunen, February 2016. Coauthored with Rikke Berg. “The Danish Harvard Author”, portrait in Berlingske Tidende, April 2015. “Companies and innovation” (audio file), BBC radio interview by Peter Day, June 2014. “You do not have to be Steve Jobs“, interview in Gazeta Wyborcza (Poland) by Katarzyna Zachariasz, June 2014. “The Case for Corporate Disobedience“, blog on Harvard Business Review, May 2014. “How Samsung Gets Innovations to Market“, blog on Harvard Business Review, May 2014. “Samsung’s European innovation team: Fueling consumer-driven growth“, case study, IESE Business School, March 2014 (7 EUR purchase). “The Roundup: Sparking Innovation and More“, Bloomberg Businessweek, March 2013. “Clearing the Path to Innovation: How to be an Innovation Architect“. Article in IESE Insight No. 16, March 2013. Also available in Spanish. “Sowing the seeds of business creativity”. Article in IESE Alumni Magazine, July-September 2013. Also available in Spanish. “Collisions with Reality”, article in The Conference Board, Spring 2013. “FT case study: How to innovate from the bottom up“, article in Financial Times, May 2011. “Living architecture: The furtive cities of Burning Man” (in Danish), article in Louisiana Art Magazine, Mar 2011. “Six ways to fail at innovation” (PDF), article in Critical Eye, Dec 2010. “Where ideas really come from” (PDF), article in IESE Alumni Magazine no. 116, Jan-Mar 2010. Also available in Spanish (full magazine). “Leading Innovation: Four Dangerous Myths“, article in MWorld (American Management Association, 2009). “The Market for Television Formats”, Master’s thesis (2006). “Markedet for TV-formater” (PDF), scientific paper, MedieKultur no. 39 (2005). “Storytelling as a management tool“, Bachelor’s thesis (2002). “Nyhederne og fremtiden”, interview with Stig Hjarvard, Samson (2002).